Jonathan Lipps has been making things out of code as long as he can remember. He currently works as Director of Ecosystem and Integrations at Sauce Labs, leading a team of open source developers to improve the web and mobile testing ecosystem. 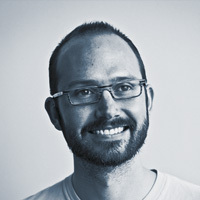 Jonathan is the architect and project lead for Appium, the open-source, cross-platform mobile automation framework. He has worked as a programmer in tech startups for over a decade, but is also passionate about academic discussion. Jonathan has master's degrees in philosophy and linguistics, from Stanford and Oxford respectively. Living in San Francisco, he's an avid rock climber, yogi, musician, and writer on topics he considers vital, like the relationship of technology to what it means to be human.